The Organizing Committee of ICAE2018 warmly invites you to attend the 10th International Conference on Applied Energy during Aug 22-25, 2018, in Hong Kong, China. The theme of ICAE2018 is “Innovative Solutions for Energy Transitions”. As the conference chairmen, it is a great honour for us to make an invitation for all of you to this exciting event, with the cordial hospitality and the warm welcome of Hong Kong. As a continuation of this prestigious conferences series, we will follow the style of the former nine successful conferences, held in Hong Kong, Singapore, Perugia/Italy, Suzhou/China, Pretoria/South Africa, Taipei/Taiwan, Abu Dhabi/United Arab Emirates, Beijing/China and Cardiff/United Kingdom to have you enjoy the program and social activities provided by the host. We are looking forward to seeing you in Hong Kong. Please note that the accepted papers presented at the conference (in both oral and poster sessions) will be selected for the further consideration of publication in the special issue of Applied Energy AFTER the conference. All papers will be peer reviewed before being accepted for the 10th International Conference on Applied Energy (ICAE2018). The conference proceedings of ICAE2018 will be published at Energy Procedia, which is an open access publication focusing entirely on publishing high-quality conference proceedings across the energy field. Click to download Proceedings of ICAE2017, Proceedings of ICAE2016, Proceedings of ICAE2015 and Proceedings of ICAE2014 at Energy Procedia. In addition, selected papers will also be FURTHER recommended for publication in a special issue of prestigious journals such as Applied Energy. Elsevier ICAE Best Paper Awards are presented annually. The awards are given for the best papers published each calendar year in the International Conference on Applied Energy. 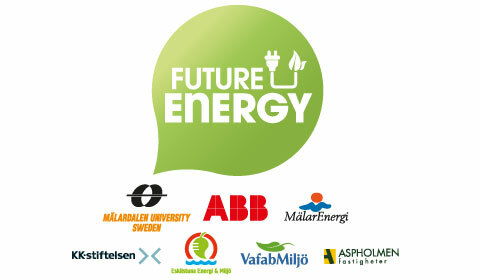 The awards are sponsored by Elsevier and Applied Energy. All papers appearing in the International Conference on Applied Energy, except keynote and invited plenary papers, are eligible. Two best winners are normally awarded to Best Paper Overall and Best Paper for Young Scientists (normally under 35). Nomination of the best papers are recommended by the editorial board members of Applied Energy and international scientific committee of ICAE. By default, the editor-in-chief of Applied Energy and conference chair of the ICAE are the selection committee chairs, but either may transfer the job of selection committee chair over to someone selected from the editorial board members and/or scientific committee members if they so choose. The selection committee chairs may appoint additional committee members if they so choose. 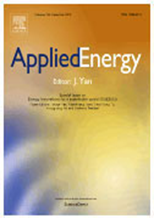 The winner(s) will be announced in the website of the Applied Energy journal and ICAE conference. The awards will be presented in the ICAE conference. Registration fee covers the costs during the conference period, including lunch, coffee break, banquet etc. A A registered author is only allowed to present maximum two papers (including oral presentation and/or poster presentation). D To include the paper in the conference program and the conference proceedings, at least one of the authors has to register before the registration deadline. For the delegate who will register onsite, a confirmation with signature is required to be sent to registration@applied-energy.org before the registration deadline. 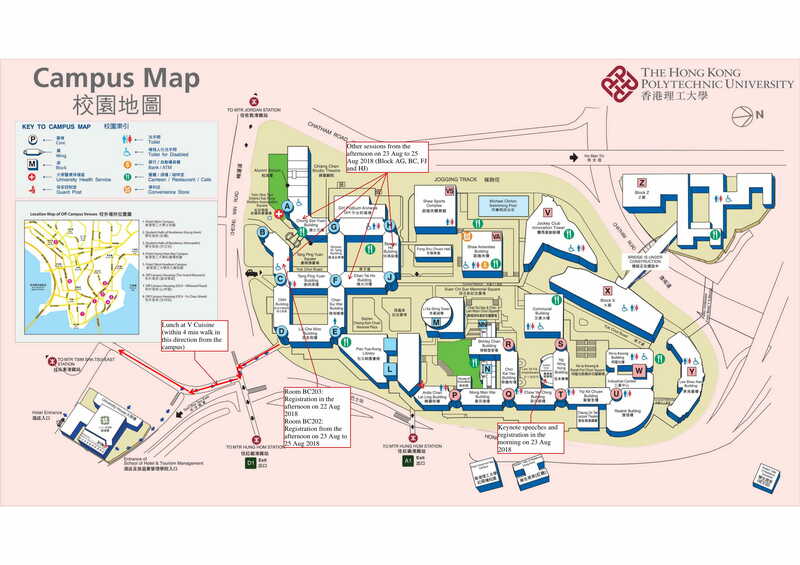 The Hong Kong Polytechnic University, Hung Hom, Kowloon, Hong Kong. Hong Kong is a Special Administrative Region of the People’s Republic of China. It is a territory of about 1070 sq. km. located at the trading crossroads of Asia. 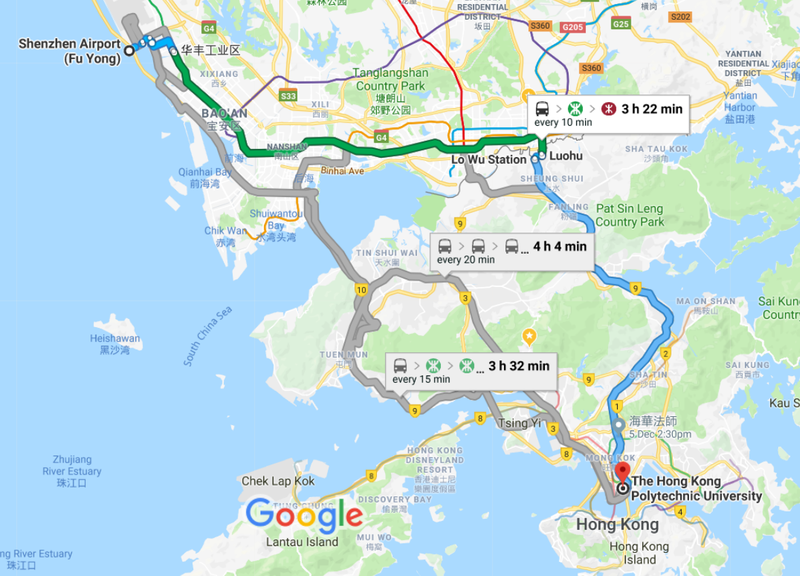 Hong Kong is one of the world’s leading economies, a major manufacturing and international financial centre, the world’s busiest container port and the main gateway to the Chinese mainland. Temperature and humidity remain high in August, with occasional showers, thunderstorms and typhoons. The average low and high temperatures are 26 °C (79 °F) and 31 °C (88 °F). August is the wettest month, with 445 mm (18 in) of rain falling during an average of 17 days. Wear summer clothes and sun protection. The current exchange rate is US$1 = HK$7.8 approximately. Most foreign currencies can be freely exchanged at banks, shops and money changers. There is no exchange control for inward or outward remittances. Travelers’ cheques and major credit cards are widely accepted. The voltage and frequency used in Hong Kong are 220 volts and 50 Hz, respectively. Visas are not required for citizens of most countries entering Hong Kong as visitors. However, participants are advised to consult their travel agents or the nearest Chinese Embassy for current formalities. 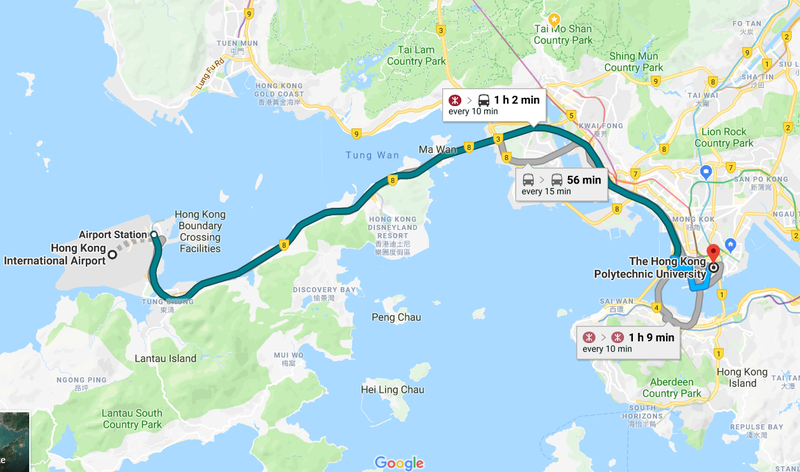 To request a visa support letter, you must provide the following information and send to Dr. Patrick Chen (patrick.x.chen@connect.polyu.hk). The conference invoice received after completing the registration payment must be attached in your request email. The letter can be issued only after your payment is complete. For more information, please contact icae2018@applied-energy.org. We advise that you start your visa application process as early as possible to ensure it is awarded in good time to travel for the conference. If you need the invitation letter for other purposes (not for visa application), please contact Jie Yang via email account jie-yang@usst.edu.cn. Reservations for the following hotels, all within easy access to the conference venue, can be made online. Address: 8 Austin Road, Tsim Sha Tsui, Kowloon, Hong Kong. 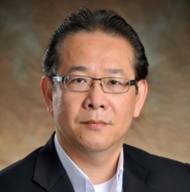 Dr. Yongping Zhai has been working on energy development in Asia and Africa for 25 years. He is currently Chief of Energy Sector Group, Asian Development Bank (ADB), in charge of overall energy policy coordination and technical support to ADB energy sector operations. He is also in charge of developing energy sector knowledge work for ADB and interacts with worldwide energy sector knowledge partners. Prior to his current position, Dr. Yongping Zhai was Director, South Asia Energy Division (2010-2015), ADB, covering energy sector operations in Bangladesh, Bhutan, India, Maldives, Nepal and Sri Lanka. In this capacity, he led ADB’s support to renewable energy, energy efficiency and power trade in South Asia. He also served as ADB’s Lead Energy Specialist (2008-2010), in charge of energy sector in Southeast Asia including Indonesia, Philippines, and the Greater Mekong Subregion (GMS). From 1993 to 2000, Dr. Zhai was a Principal Program Coordinator/Public Utilities Economist at the African Development Bank (AfDB) in charge of energy projects in Southern African Development Community (SADC). Between 1990 and 1993, he served as an Assistant Professor at the Energy Technology Division (Energy Policy and Planning), Asian Institute of Technology (AIT) in Bangkok, Thailand. 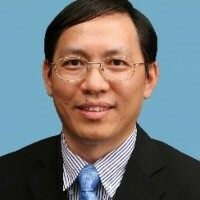 Dr. Yongping Zhai graduated from the Thermal Energy Engineering Department, Tsinghua University, Beijing, China (1983) and received a Ph.D in Energy Economics from Institute of Energy Economics and Policy, affiliated with the University of Pierre-Mendès France in Grenoble, France (1989). The United Kingdom (UK) has placed itself on a transition towards a low carbon economy and society, through the imposition of a legally-binding goal aimed at reducing its ‘greenhouse gas’ (GHG) emissions by at least 80% by 2050 against a 1990 baseline. Thus, the socio-technical insights and opportunities associated with the transition towards a low-carbon future are of critical importance in many industrialised countries. Two sets of transition pathways or scenarios are therefore described that relate to the electricity sector and to industry respectively. The power sector pathways were developed via an innovative collaboration between engineers, social scientists and policy analysts. They included an examination of the potential for increasing the use of low-carbon electricity for heating and transport. A second set of scenarios, and coupled technology roadmaps, were devised that reflect the transition challenges that will need to be met by industry out to 2050. Reducing industrial energy demand and improving resource efficiency could make a substantial contribution towards the UK Government’s decarbonisation goal, while simultaneously improving productivity and creating employment opportunities. These yield forward projections that match specific technological solutions to short-term and long-term (2050) targets. The technology roadmaps exhibit quite large uncertainties, and reducing GHG emissions over the long-term will depend critically on the adoption of a small number of key technologies, alongside the ‘decarbonisation’ of electricity supply. ‘Circular economy’ interventions have the potential to make significant energy savings that are complementary to other energy-efficiency measures. In the case of both of the research projects outlined, the lessons learned are applicable across much of the industrialised world. Prof. Geoffrey Hammond holds a Chair in Mechanical Engineering at the University of Bath (UK), and was founder Director of its Institute for Sustainable Energy & the Environment (I•SEE). He is a mechanical engineer with a multidisciplinary background, including environmental engineering and business management. His research interests are mainly concerned with the technology assessment of energy systems, industrial decarbonisation, and transition pathways to a low carbon future. In the latter context, he was Principal Investigator (PI) and Co-Leader of the ‘Realising Transition Pathways’ Consortium of nine socio-technical university partners funded by the UK Engineering and Physical Sciences Research Council (EPSRC). He is also a Co-Director of the four-university EPSRC-funded, interdisciplinary Centre for Industrial Energy, Materials and Products (CIE-MAP). 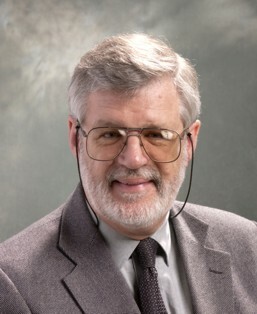 Several of his publications in the field of sustainable energy and the environment have received awards by UK engineering institutions, including the Dutton Silver Medal, the George Stephenson Prize, and the James Watt Medal. In parallel with his main post at the University of Bath, he held an Honorary Professorship in Sustainable Bioenergy at the University of Nottingham (2010-2016) in recognition of collaborative research. In recent years, he has advised the UK Government’s the Department of Business, Energy and Industrial Strategy, Department for Environment, Food and Rural Affairs, the Government Office for Science, and their independent Committee on Climate Change. He is presently Convenor of the British Standards Institution (BSi) GHG Management Group. Smart, green, sustainable and energy-efficient are the essential features of buildings developed today. The proper design of the building energy systems design and their control in operation are the key issues to ensure buildings to be smart, green, sustainable and energy-efficient in reality. More and more renewable energy generations, such as photovoltaic and wind power, are integrated in power grids to address the global sustainability problem in energy supply. However, the intermittent nature of these renewable energy generations has imposed increasing burden on the balance and reliability of power grids. More efforts and investments are needed to increase and enhance the operation reserves and ancillary services in power grids. Buildings, as the largest energy consumer of power grids, have the capacity to serve as operation reserves and to provide ancillary services effectively and economically. They should play a more important role in the balance and energy efficient operation of power grids. The future buildings should, therefore, be grid-responsive, as a new and essential feature. Proper design and control of building energy systems are also the key issues to ensure buildings to be grid-responsive in reality. This presentation will provide a summary on the building system optimal design and control methods developed and the actual energy benefits of implementing the optimal design and control methods/strategies in real buildings, the feasibilities and capacities of buildings as operation reserves and ancillary services providers in smart grids, as well as the demand response control strategies of buildings to the requests of smart grids. 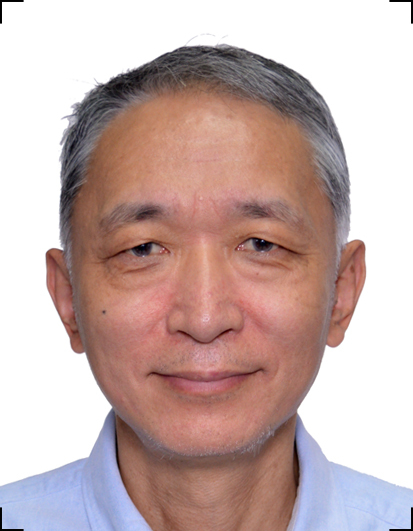 Prof. Shengwei Wang obtained his BEng and MSc on Refrigeration and Air-conditioning from Huazhong University of Science and Technology (HUST) in 1983 and 1986 respectively, and his PhD on HVAC and Building Energy Management from University of Liege in 1993. 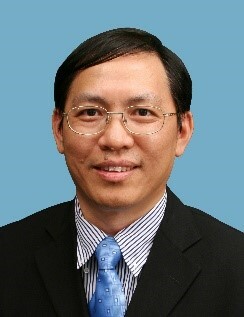 He joined The Hong Kong Polytechnic University in 1993 and promoted to Chair Professor in 2008. He is leading the Building Energy and Automation Research Laboratory in the university. He is extensively involved in the research and applications on building energy and automation in the subject areas including: building system diagnosis, energy efficient and optimal control, system robust optimal design, dynamic simulation, demand response methods for smart grid and intelligent building technologies. He has obtained over thirty research and technology development funds including 15 GRF grants from the Research Grant Council in Hong Kong (totally), National Science Foundation of China (Oversea Youth Talent) and other research funding resources over the last twenty years. 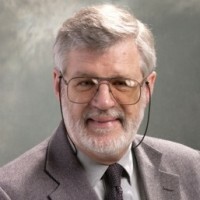 He authored/co-authored four books and published over 320 papers in refereed journals (including over 210 papers in SCI journals), and is one of the top 150 highly-cited scholars in “Energy Science and Engineering”. He also received significant amount of funding (totally over 18 million HKD) from industry for applied energy research and applications. He is conducting/has conducted a large number of energy optimization projects successfully for new buildings and existing buildings in Hong Kong, such as International Commerce Centre (ICC), New Word Centre redevelopment, hotels, airport buildings, hospitals, industrial buildings, MTR underground station as well as all buildings in the campus of Hong Kong Polytechnic University with energy savings from 15% to 40%. 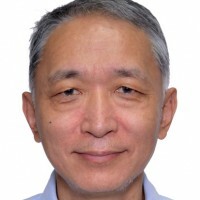 He is a fellow of the International Building Performance Simulation Association (IBPSA), a fellow of Chartered Institution of Building Services of Engineers (CIBSE/UK) and a fellow of Hong Kong Institution of Engineers (HKIE). Dr. Paitoon Tontiwachwuthikul (known as P.T.) is currently Full Professor in the Faculty of Engineering and Applied Science at the University of Regina, Canada, where he was the Dean from 1999 to 2013. He obtained his Ph.D. degree in Chemical Engineering from University of British Columbia (UBC), Canada. Dr. PT is the co-founder of Clean Energy Technology Research Institute (previously known as the International Test Centre for CO2 Capture – ITC) in Canada. Dr. P.T. is a key international researcher in the area of advanced CO2 capture and separation from industrial gas streams as well as low-carbon energy development. He has provided technical advice to governments and industries nationally and internationally. Dr. PT has played a vital role in the establishment of the Petroleum Technology Research Centre (PTRC), one of the largest petroleum research centers in North America. He has also served as a guest editor of the IEAGHG special issue on “IEA Weyburn-Midale CO2 Monitoring and Storage Project (the world largest CO2 for EOR and CCS program)” in International Journal of Greenhouse Gas Control (IJGGC Elsevier), May 2013. He and his team have developed more than 8 Patents (US and International) in the areas of Advanced Carbon Capture Processes and Clean Energy Technologies. In 2006, Dr. PT’s research team won the prestigious NSERC Synergy Award for Innovations from Natural Science and Engineering Research Council of Canada. Dr. P.T. is currently a member of Editorial Board of IJGGC. In addition, he is serving as the Honorary Editor-in-Chief of PETROLEUM Journal (Elsevier). Recently, Dr. PT. has served as the chief guest editor of (i) a special issue on “Carbon Capture, Utilization and Storage (CCUS): Technological Developments and Future Opportunities for Petroleum Industry” in PETROLEUM (Elsevier) – 2017 and (ii) a special issue on “Recent progress and new developments of applications of Artificial Intelligence (AI), Knowledge-based Systems (KBS), and Machine Learning (ML) in the Petroleum Industry“ – 2018. In 2013, Dr. PT. and his research team published an eBook on “Recent Progress and New Development of Post Combustion Carbon Capture (PCC) Technology Using Reactive Solvents” by Future Science of UK. Dr. P.T. has published extensively in AIChE Journal, Applied Energy, Fuels, Chemical Engineering Science, International Journal of Greenhouse Gas Control, Membrane Science, Petroleum, Chemical Engineering Journal, Carbon Management, Separation & Purification Technology, Petroleum, Engineering Applications of Artificial Intelligence and Industrial & Engineering Chemistry Research. In 2016, he was inducted as a Fellow in the Canadian Academy of Engineering (CAE). – New directions of advanced WTE technologies and their physiochemical principles. – Application of WTE to sustainable development issues in megacities and rural area. – Methods and tools that could be used to analyse, simulate and optimize WTE systems. – Techno-economic and environmental sustainability study of WTE systems. – hydrate application in gas separation, CC(U)S, sea water desalination, flow assurance, et al. “Porous Materials for Biogas Upgrading and Storage” specifically addresses newest advances and challenges in biogas upgrading and storage by novel materials and their structuring, including research and development on synthesis and shaping, adsorption and membrane tests, durability, techno-economical evaluation, modelling and life-cycle analysis. Energy and water are both basic human needs and intricately related. Due to the close linkages, an energy-water nexus approach has been a main research topic in recent years and becomes a global concern. Energy and water security cannot be analyzed without considering their relation to changing consumption patterns, global trade, climate change, resource limitations, and governance issues. Despite the progress in recent years, there remain many challenges in scientific research on the energy-water nexus, while implementation as a management tool is just beginning. The scientific challenges are primarily related to data, information and knowledge gaps in our understanding of the inter-linkages. This session aims to discuss how to strengthen the pool of information, and to develop integrated software platforms and tools for systematic analysis of the energy-water nexus. A special issue on energy-water nexus will be organized in Applied Energy, and participants in this session are encouraged to submit papers to the special issue.